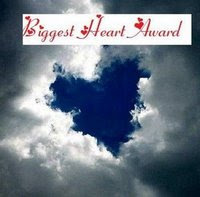 thank you Nadia for this biggest heart award. It's a pleasure to share this award to mec -you really have a big heart sis. this is for you.